The modeling world is often considered extremely cutthroat, how did you find solace in such a community? Its called "wellness through wilderness", I love what I do, which gives me great strength to face the competition. It helps me get better each day and not take anything for granted or consider it easy. I enjoy the process. Did you ever imagine modeling as a child? I did model as a little kid and felt a sense of connection to the camera and the world of creativity but never knew this is where I needed to be. But now I feel at home. 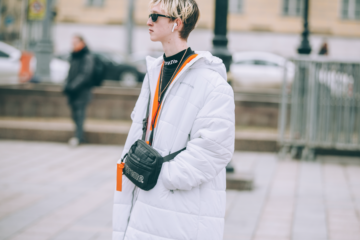 How did your parents feel about the transition from law to fashion? Like most parents they were skeptical as Fashion was an unknown territory, but as highly successful professionals in their own fields of law & finance they understand the demands of this business. They believed in me and asked me to always be punctual, prepared, and a perfectionist. You listed sky diving and motorcycle riding as two of your favorite pastimes, do you consider yourself a daredevil? I am not sure if I am a daredevil but I am definitely very adventurous and lots of fun. Now that you are in the world of fashion, would you ever consider eventually designing? The world of fashion has a wide range of creative venues and yes I love creating. I do a little bit of fashion styling & interior designing. What has been your favorite shoot so far? I can't pick one, as the photographers or the creative teams I have been associated with are highly skilled. There was a lot to learn from each of them in their sense of style, eye for emotion, and their passion for the profession. I can only say I am blessed. What songs do you listen to during a shoot? I am groovy to any kind of music during the shoot, as the music often depends on the vibe of the shoot. However, I personally enjoy pop, reggae, and hard rock. Can you describe yourself in three adjectives?